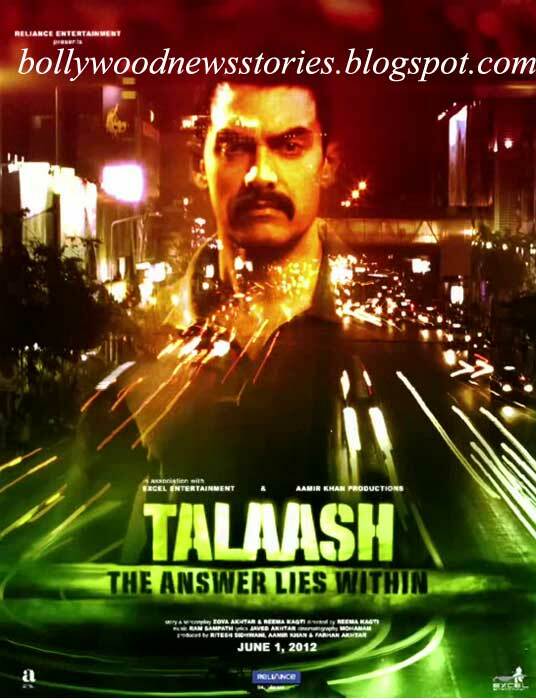 Talaash psychological thriller written and directed by Reema Kagti. Talaash which features Aamir Khan, Kareena Kapoor and Rani Mukerji in pivotal roles, is jointly produced by Excel Entertainment and Aamir Khan Productions, and is scheduled to release on June 1, 2012. Heres the first look poster of Talaash Starring Aamir Khan, Kareena Kapoor and Rani Mukerjee.